Few things feel worse than your strength faltering when you’re in the midst of the challenge of a lifetime. Turning to the beauty of nature and drawing on the wealth of symbolism surrounding plants and flowers is a surefire way to boost your own confidence and power. Whether you’re the one going through hard times or you want to inspire strength in someone you love, these flowers, trees, herbs, and other plants are all ready to lend their help to the cause. 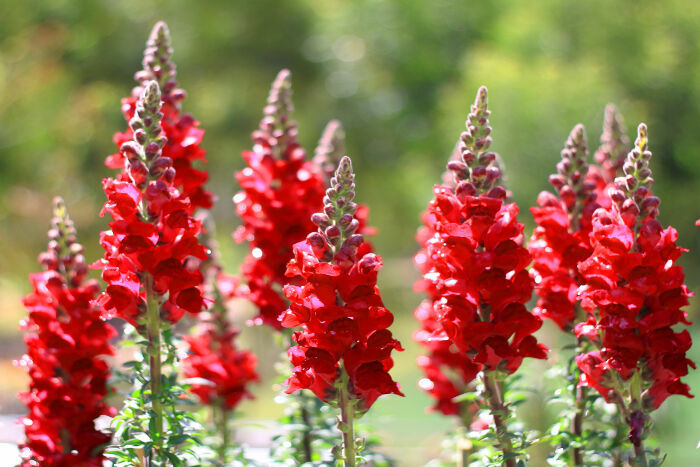 Snapdragon – A dense spike of blossoms rises up in a bold color. The upright growth and clustered blooms of the Snapdragon means it represents strength. The flower can also mean deception or concealment. 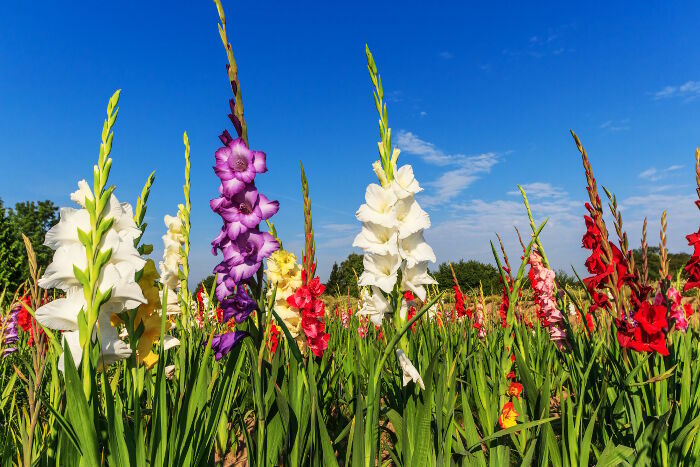 Gladiolus – The Gladiolus also sports spikes of flowers, and it lends a name to the Roman Gladiators who fought fiercely for their freedom. This flower is the perfect gift for anyone fighting through something difficult, from divorce to illness. You’ll send the signal to keep up the good fight. Nasturium – This creeping plant spreads quickly and reveals small red or orange flowers everywhere it goes. Linked to battles and long journeys, the Nasturium can symbolize victory of any kind. It’s also tied to patriotism and makes a nice floral arrangement for soldiers and veterans. Carnation – Be careful with color. Only white carnations mean strength, and it’s primarily the strength of a caring mother. It’s also a recognition of purity when a person is steadfast and unwilling to back down from their goal. Protea – Need to encourage courage and energy in someone who has been fighting for too long? The Protea flower is unusual and very inspiring. It’s one of the world’s oldest flowers, so the Protea’s skill at surviving can help anyone battling cancer or another major disease. ​Coneflower – Don’t forget the humble coneflower when picking a flower meaning strength. Purple varieties, also known as Echinacea, and yellow Black-eyed Susans look great when mixed together into one supportive bouquet. ​Sweetpea – The simple Sweetpea smells as beautiful as it looks. Tuck a few fresh blooms into a greeting card to brighten up the day of anyone feeling pushed around by the world to give them a little peace. Aside from flowers, one can also find inspiration in the towering strength of the trees that fill yards and parks. The Oak Tree has been a symbol of strength for centuries. From knights in the Middle Ages that designed heraldry around the tree to woodworkers with first hand experience in the toughness of the wood, both the leaf and acorn of the tree work for inspiring others. There’s no need to head to a floral shop for a botanical gift if you’ve got an Oak in the front yard. Cedar is also known for strength and courage, among other meanings. Finally, don’t forget about the tree that produces Bay leaves. Known as the Sweet Laurel, this tree has symbolized victory and success since Ancient Greece. Fennel – The bulbs make a nice soup, but it’s the stalks that were once used to drive away witches. The fresh and herbal taste of the dried leaves represents strength. Thyme – Most types of thyme creep to spread and can grow in very hard soil or cracks in rock. This adaptability is just what you need when you’re turned down for that promotion yet again. Mint – Even common garden mint offers an uplifting boost of energy. Scientific research into peppermint tea showed it had a real effect on depression and fatigue. Look outside the box when picking plants for inspiration. A cactus makes the perfect desk companion at work or home and reminds you to defend yourself from anyone who wants to push your boundaries. Bamboo is another good symbol because of the plant’s incredible strength and flexibility. Keep in mind the “lucky bamboo” sold as indoor plants are actually Dracaena and not bamboo at all. Does the Lotus f\lower represent strength, rebirth, challenges?